It began on a school bus in Wolf Lake. That’s when then third-graders Nick Ladig and Travis Barnes first met and became life-long friends. Later, in 2001, Browne dropped out of college to join the Marines. Meanwhile, Ladig spent several years in the restaurant industry before finding work in the beer wholesale business in Fort Wayne. 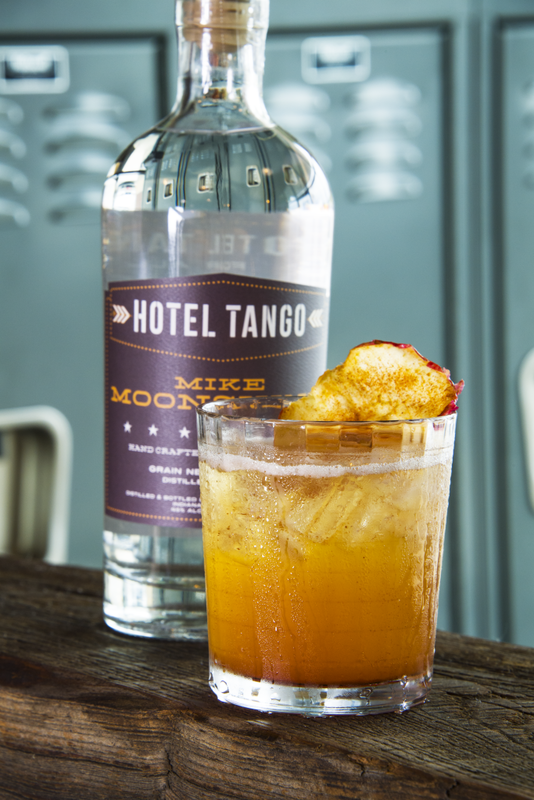 After three tours in Iraq, a bachelor’s degree and completing law school, Barnes opened the wildly popular Hotel Tango Artisan Distillery in Indianapolis with his wife and friends. Last year, Ladig sought to bring his buddy’s products to the thirsty masses in Fort Wayne. This past May, Ladig’s vision became a reality. 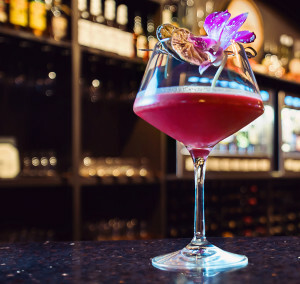 The craft cocktail lounge HT2 — a nod to Hotel Tango — is now giving people a taste from the state’s first legal distillery 130 miles or so to the south as it pours up Old Fashioneds, Bloody Marys and Mimosas aplenty. Bartenders are also serving unique concoctions like the Battle of Ol’ Charlie –Lima Limoncello, simple syrup, lemon and Angostura bitters — and the Dashboard Hula Girl –cantaloupe-coconut vodka, coconut milk and agave with a toasted coconut rim. 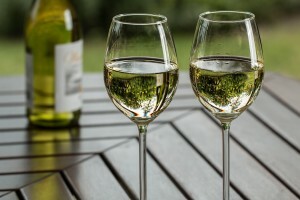 The cocktail menu is designed for every level of liquor enthusiast, whether craving something light or a little stiffer. 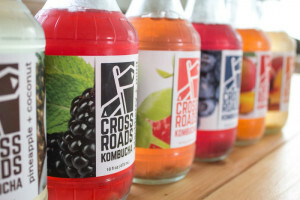 “We make drinks that take a little time and a lot of love, but we’re still rough around the edges,” said Ladig. The decor is a definite nod to Hotel Tango’s Veteran roots, with photos of those who’ve served lining the brick walls. Don’t be surprised to see army figures crawling on the walls or neon plastic swords in your drink. Warm up near the fireplace with one of the many snacks the bar offers. Pastries from Hetty Arts, a Netherlands native who found her way here and is now the owner of one of the area’s most popular food trucks, are served. Every Thursday is doughnut day at the lounge, where Arts’ creations are on full display. HT2 also serves beers from the area — and even a few regional brews like Yuengling and Two Hearted –alongside wines from local winery Two EE’s. All these ingredients mix to make for a relaxed atmosphere where you can unwind with a nice pour.